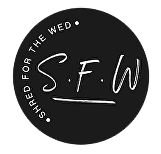 At Shred for the Wed (S.F.W) we are setting ourselves apart by exclusively only training brides, grooms and bridal parties. We will be with our members right up until their wedding day to help them look fit, feel healthy and feel confident on one of the biggest days of their lives. Achieve an extraordinary transformation for your big wedding day. Look fit, feel healthy and feel confident on one of the biggest days of your lives. Make nutrition easy with our tailored meal delivery service provided by On The Run Meals. Increase your confidence and happiness leading to your wedding day. Increase your energy leading to your wedding day. Become motivated and feel in control of your health. Develop a holistic understanding of health and fitness. In a supportive platform with other exclusive S.F.W members to ask questions at any time and provide helpful information and motivation.